Saab Official service centers are carefully selected for their knowledge and expertise with Saab vehicles and offer a complete range of specialist services including; maintenance, accessories and Saab Original Parts. Perrysburg Auto Mall’s ASA certified technicians have been selected for that reason. Their Saab knowledge puts them at the forefront of service in Northwest Ohio. 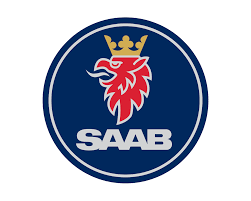 Saab Automobile is an international automobile company with traditions firmly established in Sweden. Saab’s background as an aircraft manufacturer has given them the broad-based foundation of technical expertise and innovative concepts, which currently characterize the company just as much now as they did when it was originally established more than 50 years ago. This is precisely what typifies Saab in the role as car manufacturers – never follow traditions simply for the sake of it but always search for methods and approaches in which we can believe. Saab Automobile has always been at the leading edge when it comes to design, performance and safety. Their history is full of technical innovations, which are now standard in the majority of cars–and we are planning to continue along the same lines. Saab Automobile is a dynamic company, which always makes human beings the focus of attention. This applies to everything from the way they design their vehicles to how we take care of our staff and deal with our customers – one of the reasons Saab will always be far more than an exclusive car. Saab will also be synonymous with a powerful personality. Perrysburg Auto Mall is a proud seller of both new and used Saab vehicles.